Remember when you struggled to stay awake way back in Earth Science class learning about the different types of clouds floating above the Earth? Few of us can probably remember the distinguishing characteristics of cirrus, cumulus and stratus clouds, but our teachers tried their best to make us aware of them. There’s definitely something similar occurring among small and medium-sized business owners when it comes to an awareness of cloud computing and what it means as a concept and, more importantly, to their businesses. In short, there is some understanding of what the cloud is, but some additional information would be welcome. As a leading provider of IT support in the DC metro area, we frequently receive questions about what the cloud is and how best to use it. To sum it up succinctly, cloud computing means using an offsite server(s) to house any or all of your company’s email, file storage, online backup, accounting and business applications. In the cloud, these functions are accessible to users at any time through the use of an internet connection as opposed to being stored on a server and/or desktop at their office location. There are a variety of factors (cost, business size, type of business requirements) that determine whether using the cloud, partly or for all your IT needs, is right for your business. We will discuss these thoroughly in future posts. In this post, we will stick with introducing the three main types of clouds a business can use. In order to better understand the different types of clouds, it is helpful to first understand what an offsite data center is. Data centers are normally warehouse type buildings, which house a large number of racks that hold many servers and other hardware and networking equipment. The companies who own these data centers provide physical security, electric power, internet connections, a controlled temperature and moisture environment, and fire suppression systems to operate and protect this equipment. Data centers also have redundant systems for electric power and internet connections. Depending upon the company who owns the data center, they will either rent out space on their servers or provide physical space (along with the other attributes) for companies to house their own servers. Some data centers lease out dedicated servers and also provide server maintenance for a fee. This is the most basic type of cloud computing widely used by small and medium-sized businesses. Public cloud service providers store a company’s desired applications, email, files, and/or any other requirements on a shared server at their offsite location. Some of the leading public cloud service providers include Amazon Web Services (AWS), Microsoft Azure, IBM/Softlayer, Dropbox, Anchor, Egnyte, and Google Compute Engine. Your business and other companies share the use of the provider’s server(s) and have 24 hour access to your data through the internet. One analogy to help understand the public cloud is to think of life in an apartment complex. The apartment building is the offsite data center containing many shared servers represented by separate apartments and your apartment is one shared server, which you rent like an apartment. In your rented apartment you have your own private space for your things, but you also have a roommate(s) who shares your kitchen and other areas of the apartment when you are not using them. The difference is that unlike the real life situation when you share your apartment with a roommate, your company will not be aware of the other companies sharing the server where your company’s data is housed. In an apartment complex, the management company or landlord provides all the utilities (electricity, water, etc. ), maintenance of the building and grounds, and security. Similarly, the data center provides the electricity, internet connection with redundancies to operate the servers that make your company’s and its other clients’ computing needs possible. They also provide physical security and firewalls to prevent security breaches and viruses from impacting your data. In the public cloud model, companies generally pay a subscription fee per user and save money and time by not having to worry about the cost to own and maintain a dedicated server at their location. 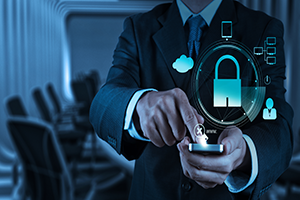 Larger companies and companies that have significant security and compliance requirements are generally not a good fit for this type of cloud. 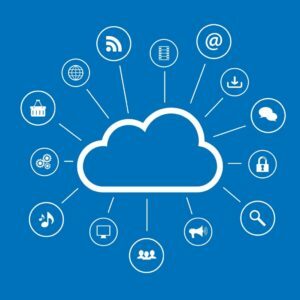 The private cloud (also known as a corporate cloud or internal cloud) is similar to the public cloud in that it refers to a company’s use of a server(s) at an offsite location to store and provide access to all or a portion of a company’s desired applications through the internet. However, in the private cloud, the company has its own dedicated server (either privately owned or leased) at a data center or at their own offsite location. This is in contrast to the public cloud where the data from many companies is shared on the same server at the data center. Using the apartment building analogy, you own your private apartment in the building and do not share anything in your apartment. The private cloud option is used generally by companies to gain the benefits of using the cloud, while still maintaining control of their company data through the use of their own private data server. Companies that use this more expensive model are concerned with security and compliance and keeping their assets protected by their own firewall. The company does not have to worry about any viruses or security breaches coming from other companies on a shared server as their information is physically kept apart on their own dedicated server. The negative side to this approach is the cost of owning or leasing a server along with any maintenance expenses. Using the private cloud gives companies greater control of their data and more peace of mind. As the name suggests, some companies combine the public and private cloud models described above to use the hybrid cloud model. The most common example is when companies use the public cloud exclusively for email, while using their own dedicated server at their office (on-premise) or using the private cloud as described above for file storage. In this example, the company still has control of certain sensitive applications privately, while using the public cloud for their applications, which don’t have the same security or compliance requirements. Companies can also use the hybrid cloud model to reap benefits by migrating applications to the public cloud during natural disasters or scheduled server maintenance at their private cloud locations. Now that you know about the types of clouds out there, you can explore our related blogs at networkdepot.com to learn more about the latest developments in cloud computing and the potential benefits for your company. Feel free to contact us at any time to discuss cloud computing options for your company. And don’t forget to take a moment and review the three main types of clouds floating above your head. Think of it as a useful conversation starter with family, friends, or a stranger.